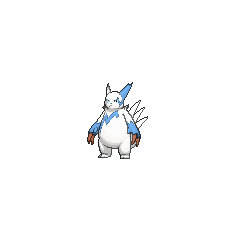 Shiny Zangoose in game: 59 Who? Important notice! Pokemon Shiny Zangoose is a fictional character of humans. 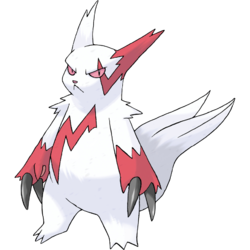 Zangoose first appeared in ZigZag Zangoose under the control of Nicholai. 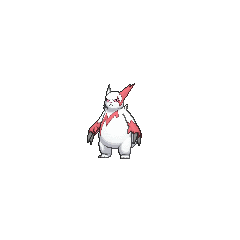 In Glory Blaze, it is discovered that Paul found Chimchar being attacked by a group of wild Zangoose. Due to the amazing power it used fighting the Zangoose, Paul decided to catch it. 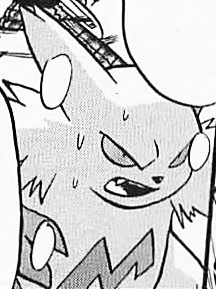 Also in this episode, Chimchar was matched against a Black Belt's Zangoose and nearly lost to it during the Hearthome City Tag Battle Competition. In Tears For Fears! another group of Zangoose appeared before Team Rocket and fought with Jessie's Seviper. Later, Chimchar found the courage to defeat them. A powerful Zangoose appeared in Beating the Bustle and Hustle! under the ownership of Crimson. 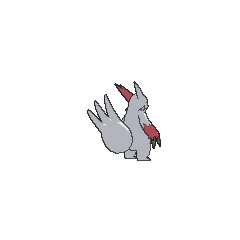 A Zangoose appeared in Saving Braviary! under the ownership of the Plasma Grunt Weiss. A Zangoose appeared in the opening of Destiny Deoxys and Lucario and the Mystery of Mew. Multiple Zangoose appeared in Ash and N: A Clash of Ideals! under the ownership of several Team Plasma Grunts. 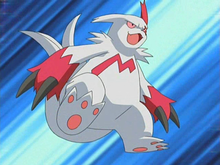 Zangoose first appears in On the Loose and Hyper With Zangoose and Seviper I, where it fought against a wild Seviper. 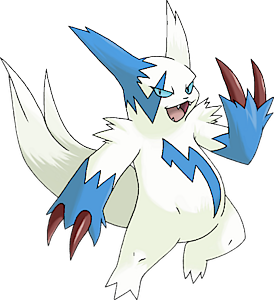 Sidney owns a Zangoose, which he used to try and awaken the Legendary titans.